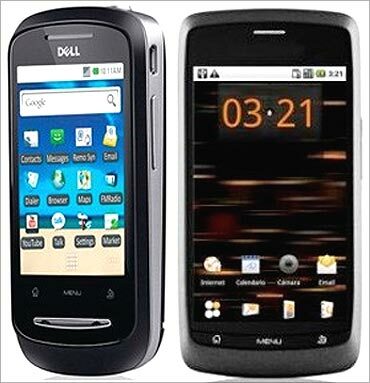 Rediff.com » Business » Can Dell XCD win the smartphone race? Can Dell XCD win the smartphone race? After taking leadership in the personal computer space in India, Dell now wants a piece of the market for smart phones. 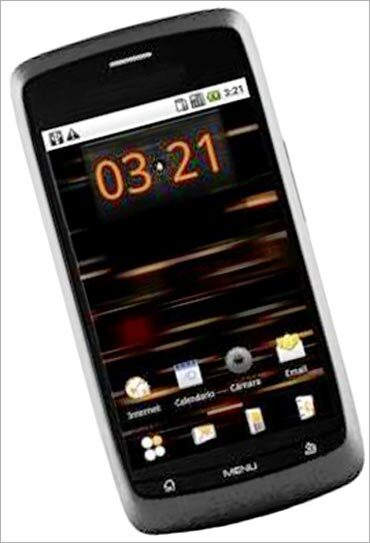 The company recently unveiled two phones, the XCD35 and XCD28, priced at Rs 16,990 and Rs 10,990, respectively. 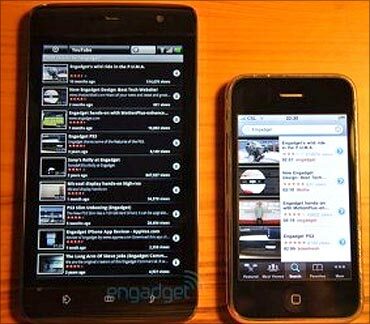 Both run on Google's Android mobile operating system. The launch comes a month after the company unveiled the Dell Streak tablet in India, which is available at a premium price tag of Rs 34,990. As the smart phone market in India begins to resemble a rugby scrum, Dell is a late entrant to the game. The Dell XCD series will grapple with a throng of competitors that include behemoths like Apple, Nokia, Samsung and LG, and a pack of homespun brands. 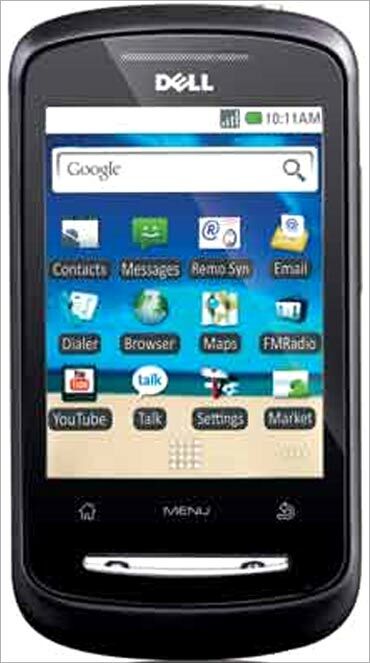 Nokia offers a range of smart phones, with the latest launch being X5, retailing for Rs 10,499. Samsung, which entered this space earlier this year, already boasts of eight offerings. "We hope to corner 40 per cent of the market by year-end," says Samsung India Country Head Ranjit Yadav. Research in Motion, Motorola and HTC with their products at multiple price points are not small contenders either. Until recently the smart phone was the privilege of the corporate client and business traveller, but the devices' appeal has now extended to the gadget-loving masses. Image: Dell XCD 28 and XCD 35. Gartner Principal Analyst Anshul Gupta says: "The smart phone segment in India is estimated to be 7 to 7.5 million and is growing 30 per cent year-on-year. 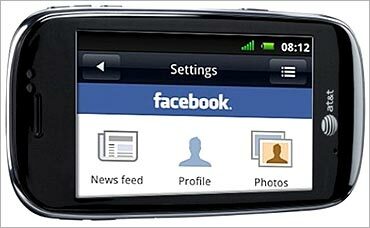 In the next five years, smart phones are expected to have 25 per cent share in the overall mobile phone market." Given the market potential, Dell is confident that the launch is well-timed. "The rollout of 3G will only increase data accessibility, and that is when consumers can leverage the most out of a smart phone device," says Dell India General Manager (consumer & SMB) Mahesh Bhalla. 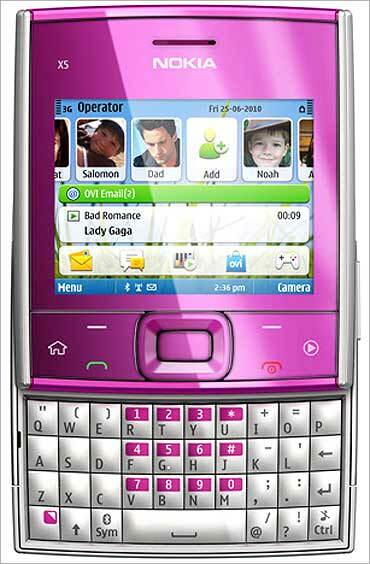 Further, the company will play on the strengths of its PC business to build equity in the smart phone space. "Dell's experience in the PC and server business has helped it understand Internet and data very well. For example, the top websites around the world run on Dell servers. Dell also handles a lot of the Internet traffic and, given that smart phones are meant for data use and consumption, our understanding of core technology will help us," says Bhalla. With the XCD series, the company is looking to target students and mobile professionals. Extensive research on the target audience helped the company optimise its phones for the Indian market. "For example, people wanted to check their office mail on-the-go. Since an Android OS only allows you to use Gmail, we provided the Microsoft Exchange Client to enable users to check work-related mails on the smart phone," says Bhalla. Otherwise, consumers would have to buy an app in the Android store to enable this service. 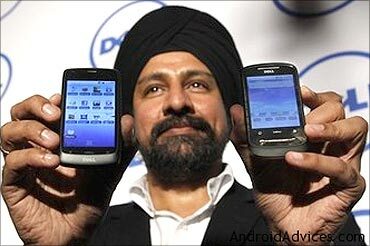 Image: Mahesh Bhalla, General Manager, Dell India with the new XCD phones. Consumer study findings also revealed that service offerings are a big part of the decision-making process. 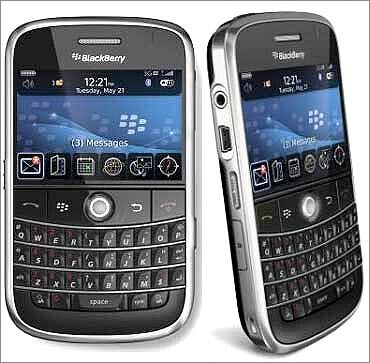 Hence, the company is offering an advance exchange warranty for all hardware issues. "If a phone gets bad with a hardware-related issue, we will instantly exchange it for another smart phone over-the-counter," says Bhalla. Bhalla is focused on a good turnaround on after sales service to help differentiate the brand from competitors. Dell's XCD series of smart phones will be available at the company's 38 exclusive stores and leading mobile stores in India. "Dell phones are current retailed in the top eight to ten cities, but we intend to expand to the top 20 cities in the next month and 50 cities in the next three months," says Bhalla. The XCD series was first launched in India and the company plans to take it to the global markets in the future. How economic reforms have transformed India! 5 COOL stocks in a hot market!